The Dynamic Content feature for JungleMail for Office 365 is one of the most useful, and easy to use, tools available to you. 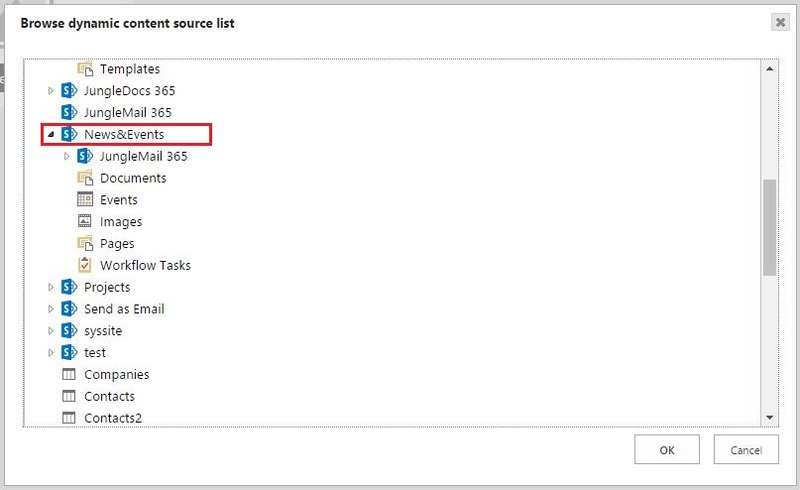 With this feature, you can let your email content be dynamically populated with data from your SharePoint lists. It is easy. 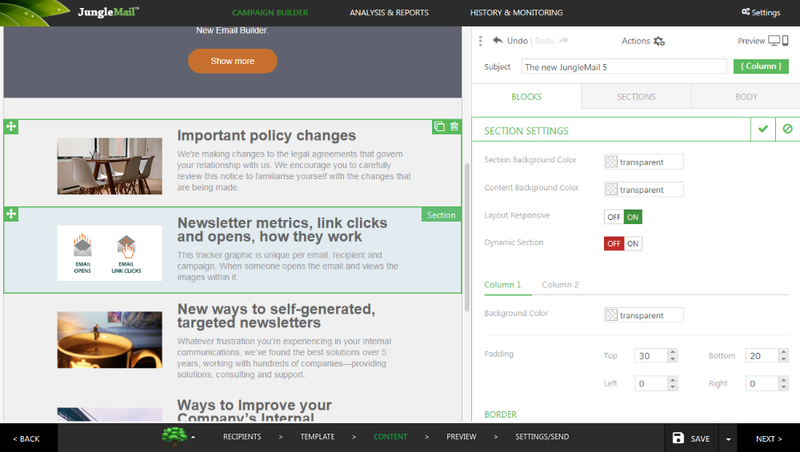 Simply enable Dynamic Content (Repeater) while building your email with our Drag & Drop email builder. 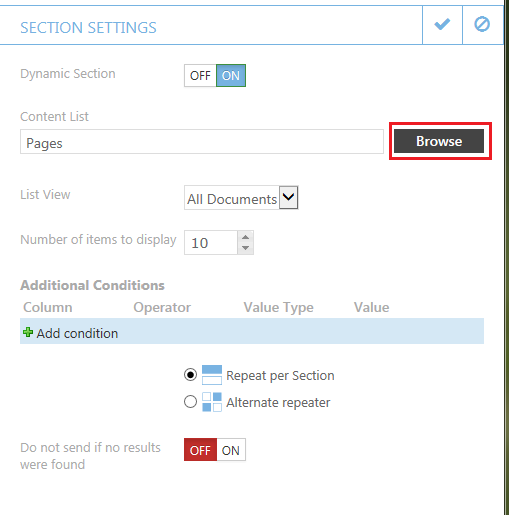 In this tutorial, you will learn how to use the Dynamic Content feature. To begin, it is good to know that Dynamic Content can be enabled for a whole Section or on a particular Block. 2. You will now see a pop-up window. 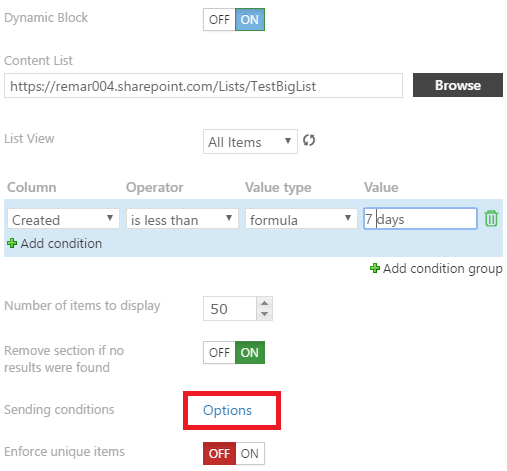 Here you can select the SharePoint Online List in which the content you want to include in your newsletter is located. Once you have selected the desired list, press OK. In our example , we have chosen to look in News&Events. 3. 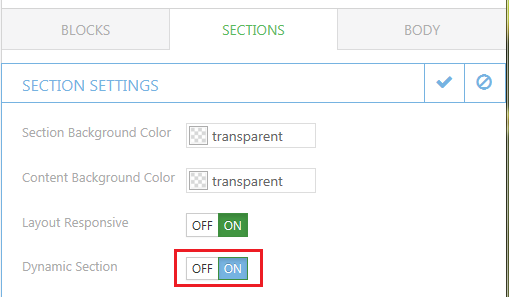 As you can see in the image above, some additional settings for the Dynamic Section have now appeared. In these settings, you can change the list view and the number of elements you want to be displayed (for example, if you only want to include the 3 most recent news items). This is also where you can configure the conditions for the Dynamic Section and how you want it to repeat your content. This will be explained in more detail below. When the Dynamic Section is enabled and a list is selected, you can also see this reflected in the section's borders. They will no longer be green but will have turned blue. In other words, a blue border means that Dynamic Content has been enabled for this section. 5. Now we need to configure each block so that it is connected to the proper News Pages library's columns for automated content generation. 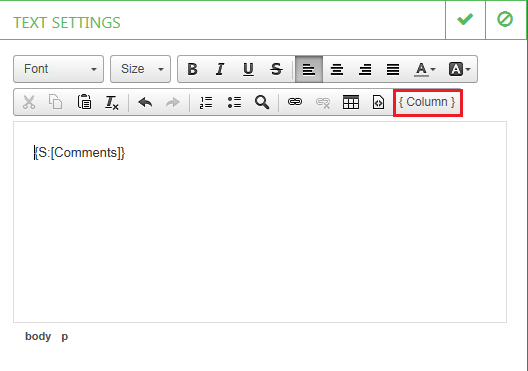 To do this, click on the Block you inserted and then, in the right panel, select the Column you want to use. 7. You can also add sending conditions to your automatic campaigns. This way you can set when a campaign should not be sent. If certain conditions set by you aren't met, a campaign wouldn't set. For example, if no recent news is found in your Office 365 lists, the campaign would not send. Note: if you are happy with your result you can save this template for future reuse. 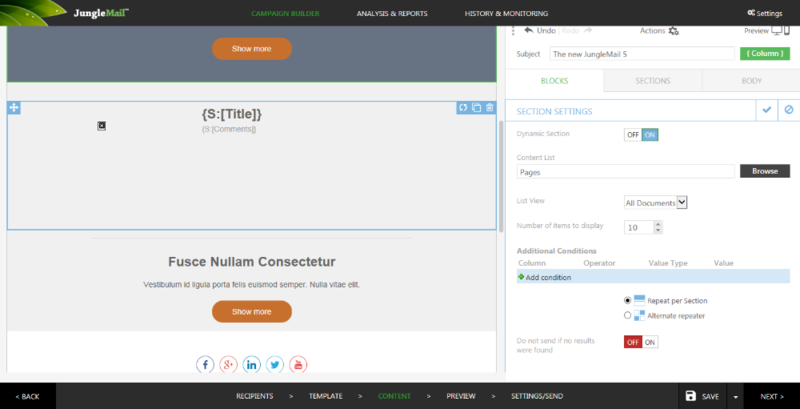 This way your News articles will be populated automatically based on the Dynamic Section settings in the future too! Please note, and this is important, that after using Repeater processing, your content at once becomes static. You can then work with it. For example, you can remove a section, or move it to a different place, or simply change the text or images. 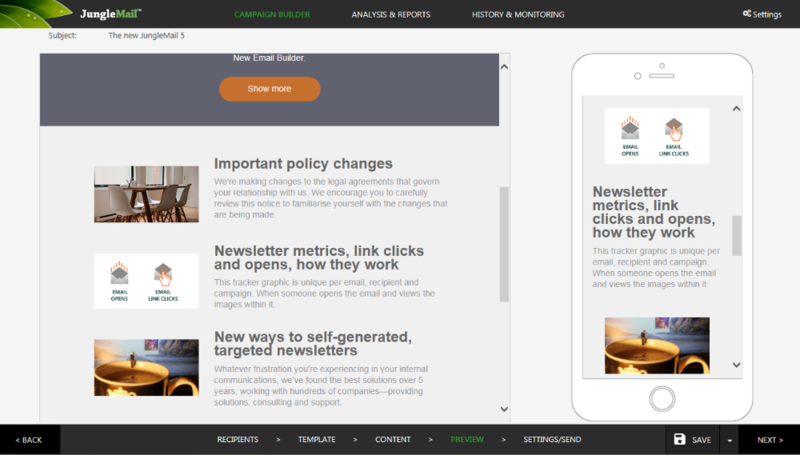 Tip: if you save your template with the loaded static content (i.e. when the repeater has already been processed), it will no longer be dynamic. If you want to have a Dynamic Content template, so you can reuse it in future, press Undo and save your email as a template when the Dynamic Section has not yet been processed.